Super cool!!! What powerplant do you plan on running? its gunna be dual 90mm.. I think itl have enough power. 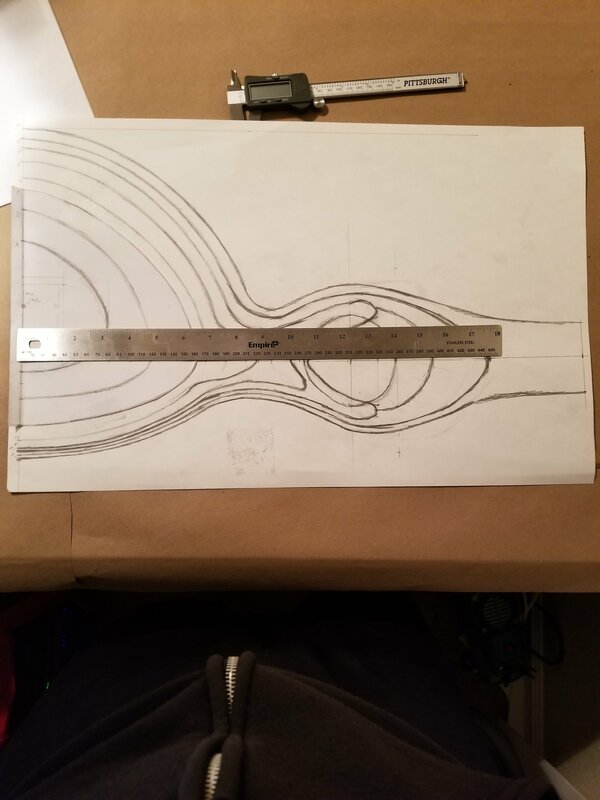 This will be amazing when completed... can you please post a pic of the goal in the first post. Thank you. Helps me see your vision within the thread. 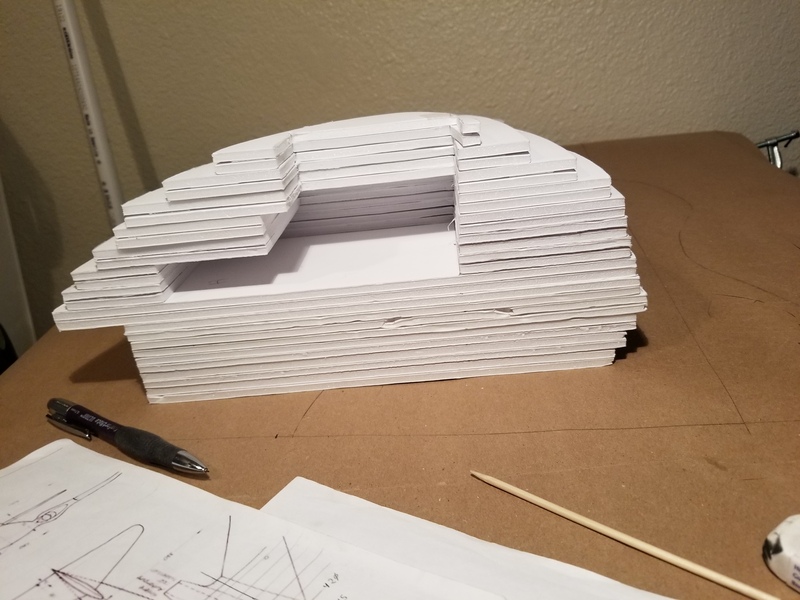 Here are the formers from A to I all stacked.. unfortunatly I ran outa foam board and my shipment of what was supposed to a 25 pack ended up being a really large box with a single piece of foamboard... so this is as far as Iv come. sum more formers.. 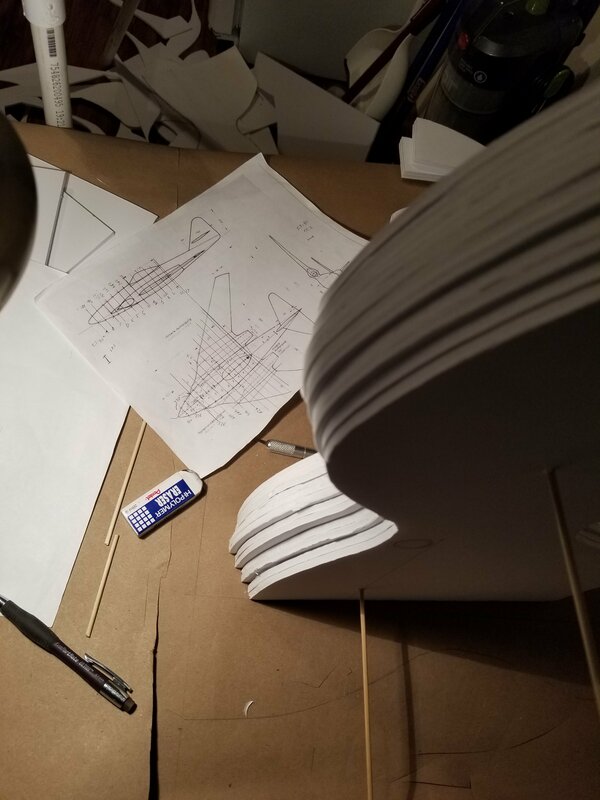 These make up the area around the canopy and... im just gunna call them nacelles.. lots of sanding.. This project is gunna take up all my free time to get it in on time.. Coupled with the whole not getting paid right now I dont know when I will be able to buy the fans. 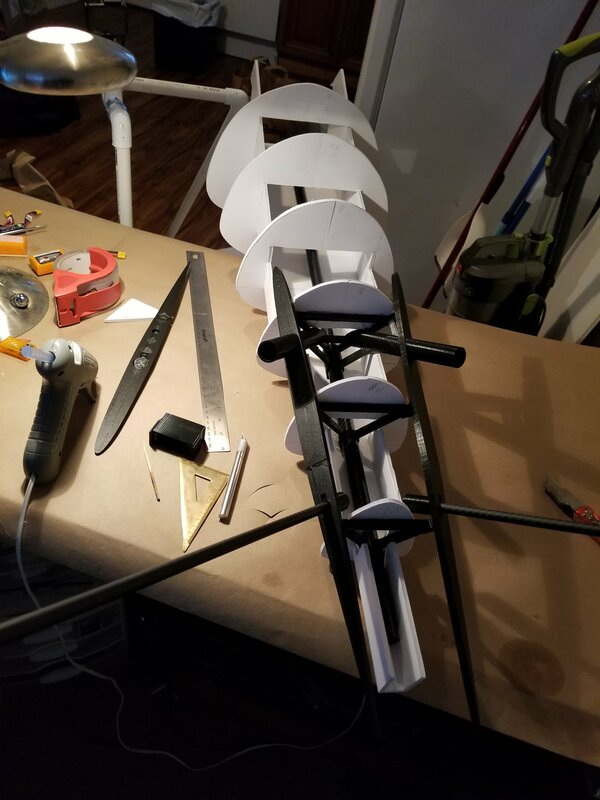 nothing is glued at this point its attached for refference right now.. Im working on the landing gear right now and then i can start to finalize things. 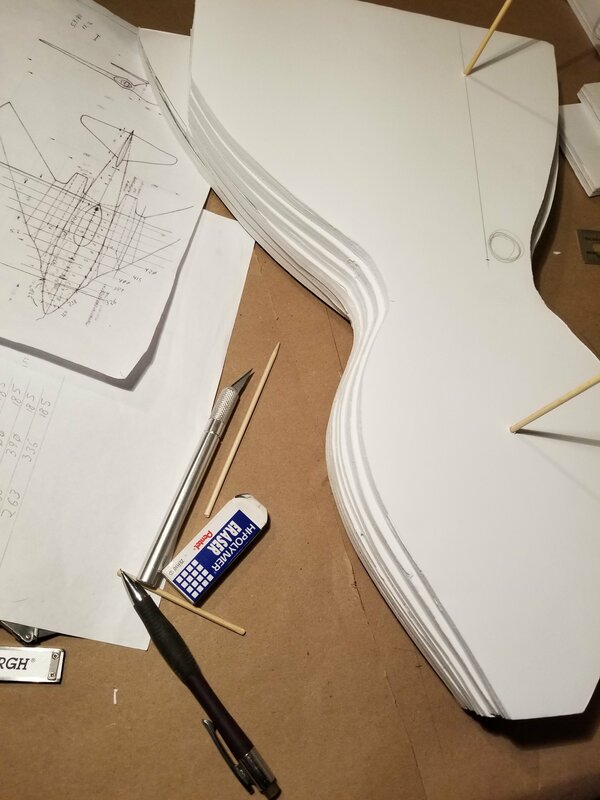 Here is the structure for the V tail. Need more carbon fiber tubing though. 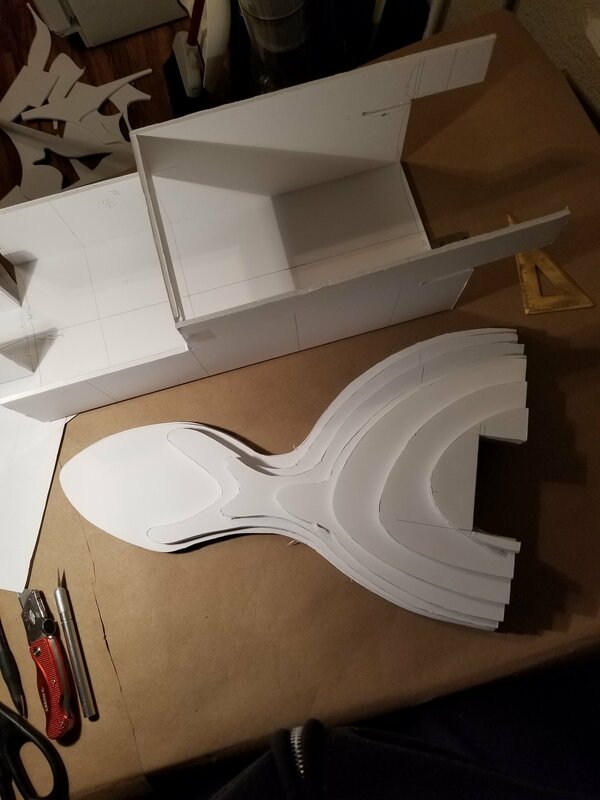 It will sit alone the line inside of the foamboard tail piece next to it. 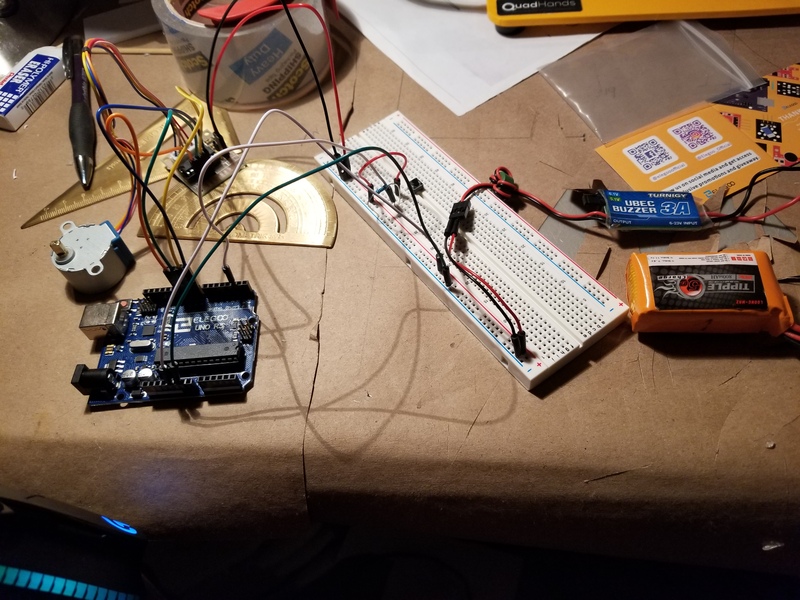 Here some of my first steps into electrical engineering. This how I plan on doing the landing gear. If anyone here knows about this sorta thing pm me pls. I have questions lol. I don't have any hands on experience with the arduino stuff but I'm eager to try it soon. 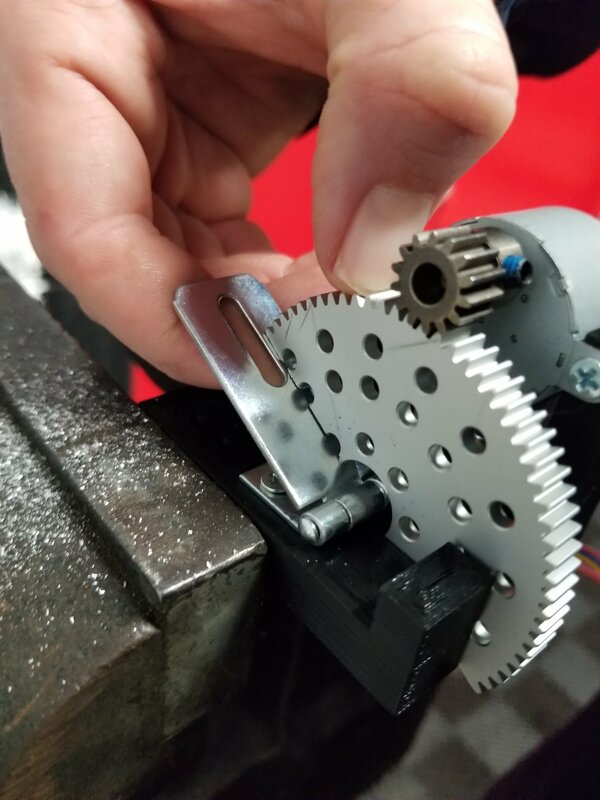 Are you planning on using a stepper motor to drive a worm gear to drive the retracts? And airworthy by the end of next month... That's a quick turnaround. Good luck! I'm am watching this building technique! So far, looks great! Ill have more pictures shortly but to answers the questions. 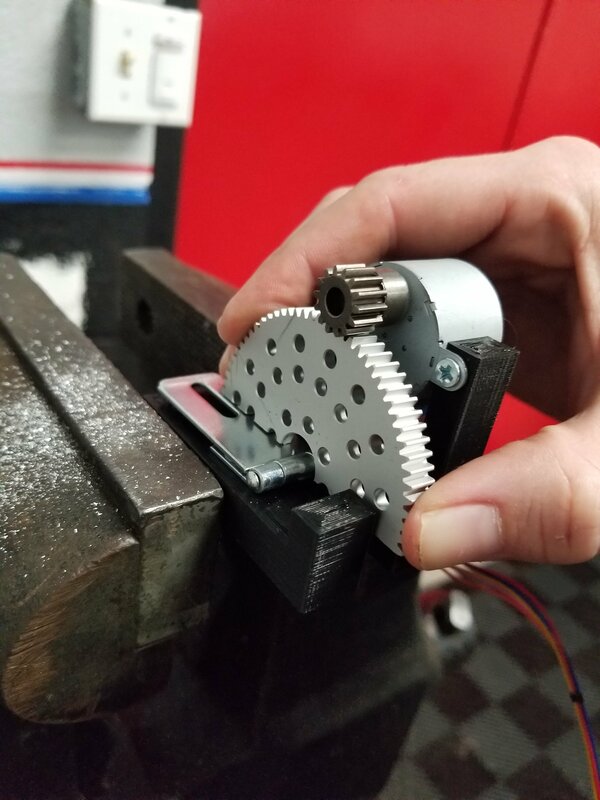 The stepper motor will be connected to a pinion stepped to a metal spur diff differential gear. The single gear will be cut in half and then sum more will be taken off so I have roughly 110 degrees for both sides. That will be welded to a door latch around its axis and the landing gear shaft will be welded along side the diff gear and the latch. 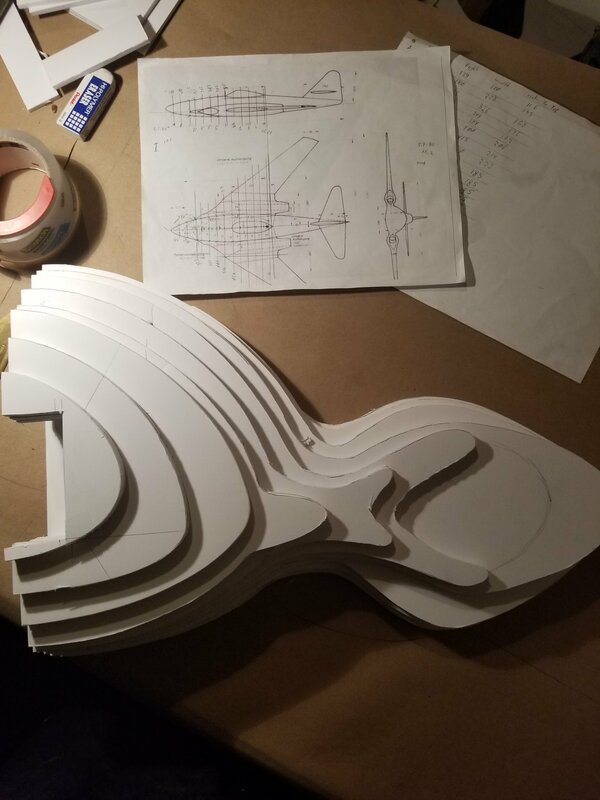 All will be housed in a printed part which will be given a resin coating and be bolted into the planes bottom housing. It sounds complicated but Im counting on the steppers to have enough torque and the housing to have enough strength. This set up will have a locking mechanism introduced later. 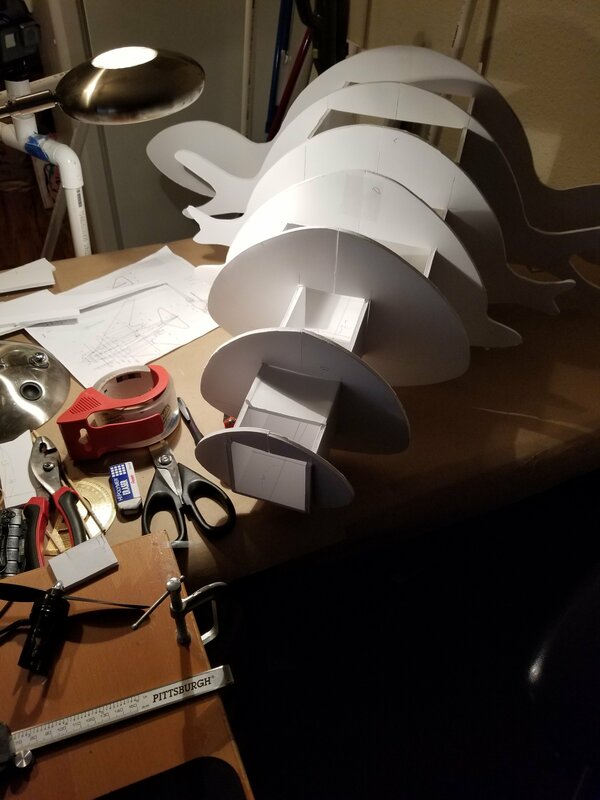 Pics are way down the line for that but the tail is almost printed out and my 90mms came in so the housing for those will be printed soon. 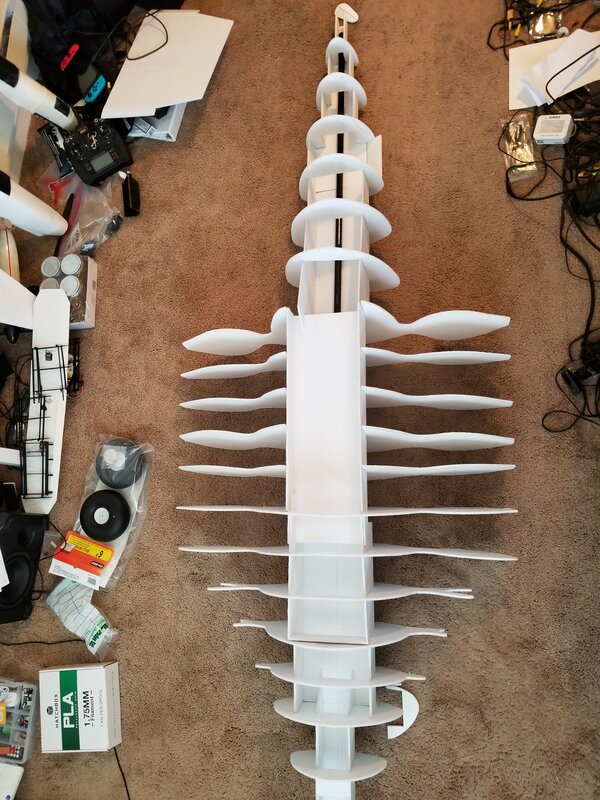 heres a pic of the pieces that make up the tail. 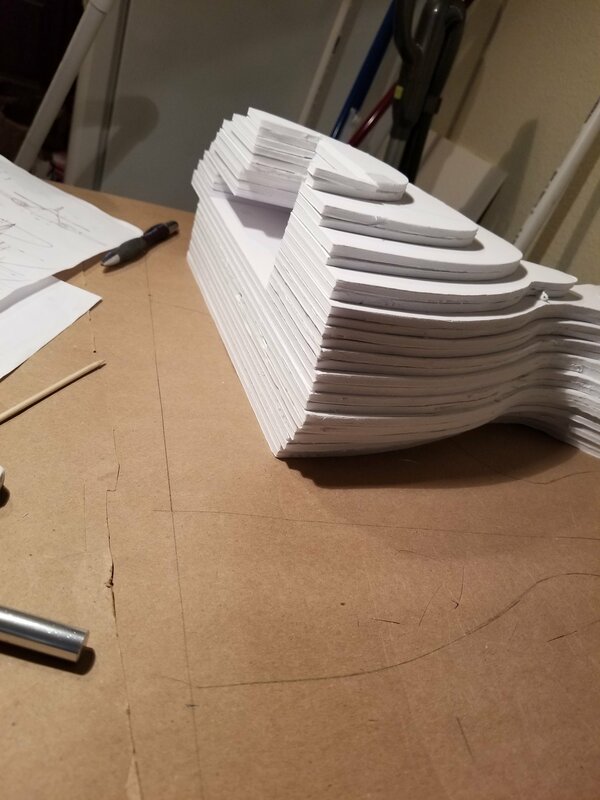 Its slow going right now cause a lot is depending on the printer to push out parts.. 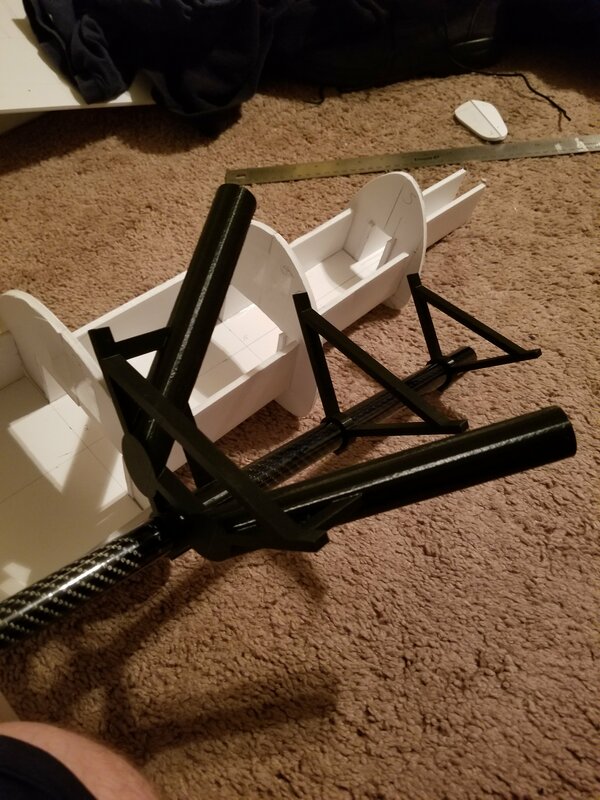 I goofed pretty hard and screwed up 10 hrs worth of printing. Theres a lot of moving parts right now and the main two Iv shifted my attention to are the gear and the edf housing. 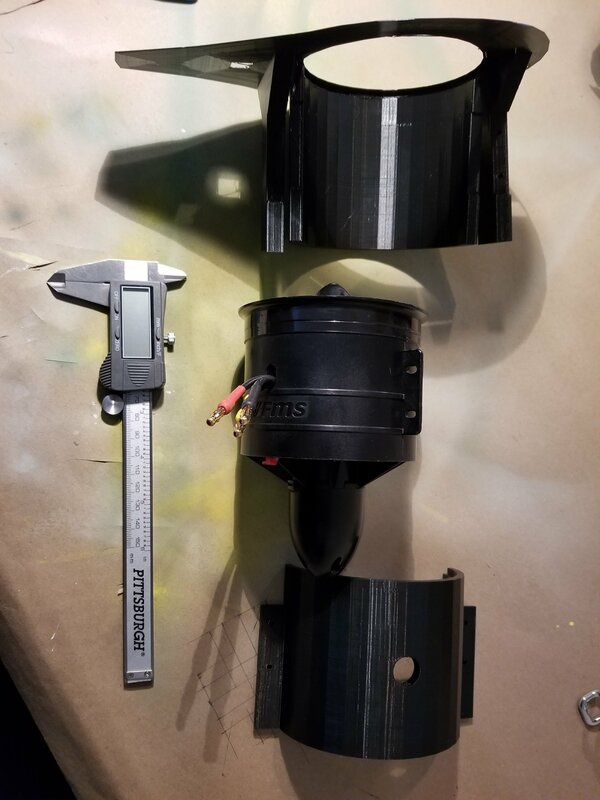 here is a motor mount test print. 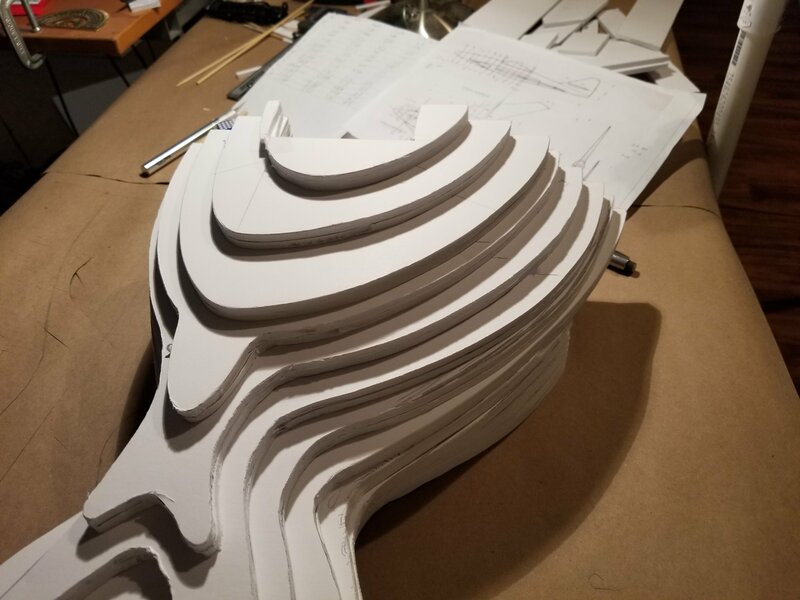 Hopefully the one printing now is a final piece. I love how you dissected that 3-view! I'd never seen it done before and I'm glad you showed how it's done. 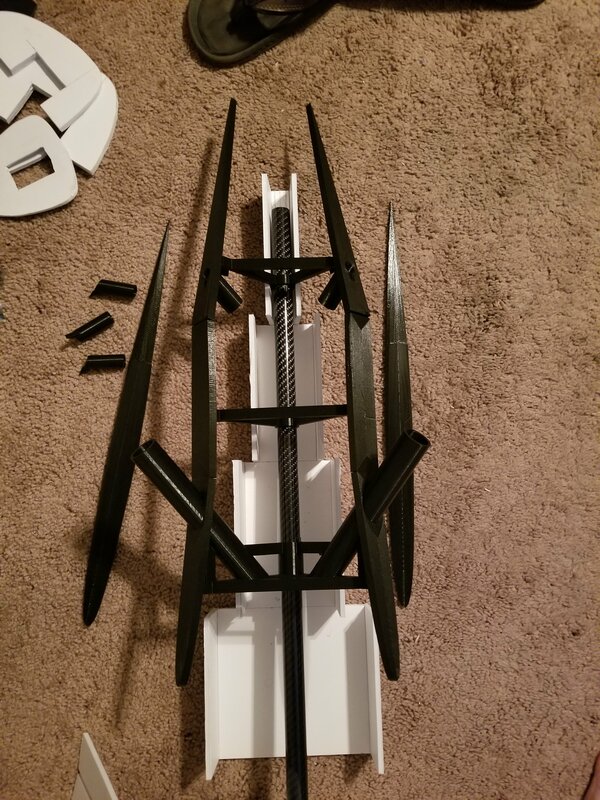 here are some pics of the landing gear system. Essentially this is just a test print so some things are off, however this is the basic idea. The gear will be silver soldered to the latch as well as the landing gear shaft. 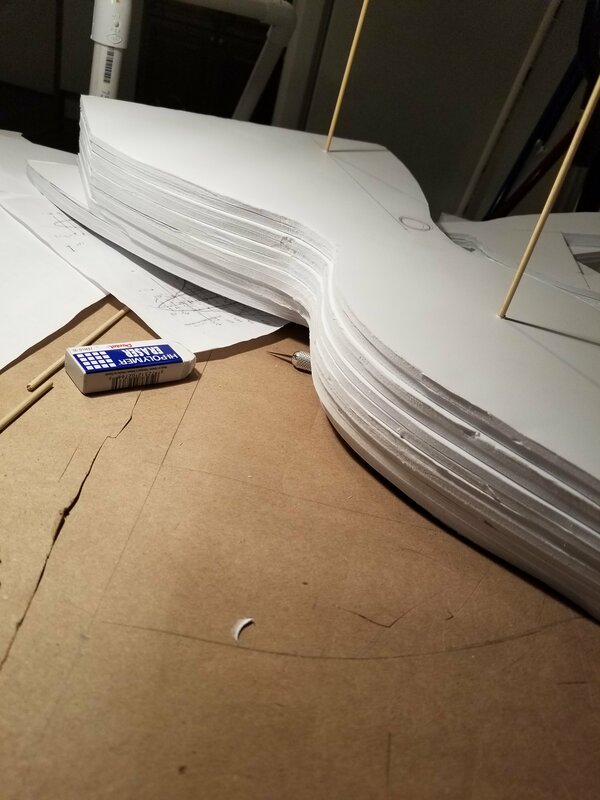 This project wont be ready by the end of the month so maybe Ill enter it in for next years but Id rather not stress about it as much. The gov shut down really screwed up my timeline and I still havent been able to purchase all the parts needed. 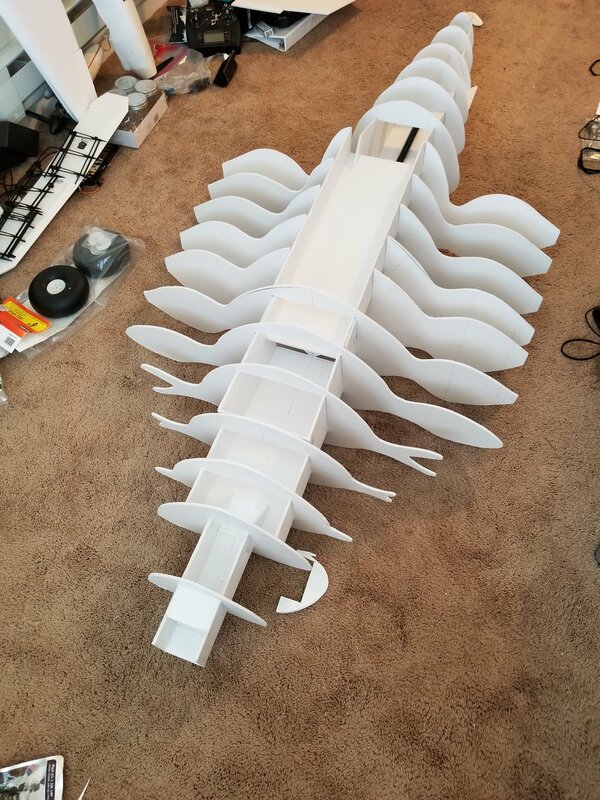 I know its been a while from an update.. here the tail right now.